Professor Yahia is Professor at the Universidad Autónoma de Querétaro, Mexico with a research programme in tropical fruits, post-harvest technology and nutrition. A Courtesy Professor at the University of Florida, USA, Professor Yahia has edited or written over 200 publications and has advised organisations such as the FAO, World Bank, USAID and ICARDA. This book provides a comprehensive review of the causes and prevention of food losses and waste (FLW) at key steps in the supply chain. 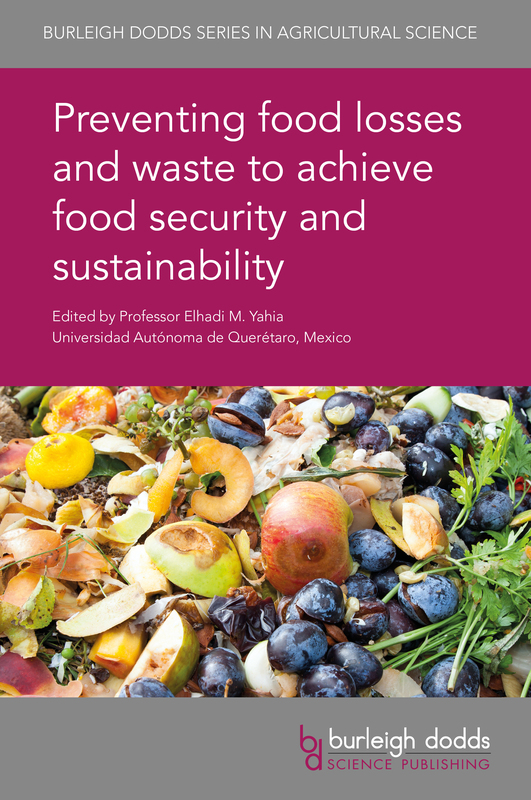 The book begins by defining what is meant by food losses and waste and then assessing current research on its economic, environmental and nutritional impact. It then reviews what we know about causes and prevention of FLW at different stages in the supply chain, from cultivation, harvesting and storage, through processing and distribution to retail and consumer use. The third part of the book looks at FLW for particular commodities, including cereals and grains, fresh fruit and vegetables, roots and tubers, oilseeds and tubers, meat and dairy products, and fish and seafood products. The final section in the book reviews the effectiveness of campaigns to reduce FLW in regions such as North and Latin America, Asia and the Pacific, the Middle East and, sub-Saharan Africa. The first comprehensive review of the causes and prevention of food losses and waste (FLW), bringing together leading experts from around the world. Multi-dimensional approach in addressing the problem of FLW from a range of perspectives: key stages in the supply chain, different types of commodity and different regions in the world. Valuable case studies from different regions on practical measures to tackle FLW.